This is a round Portland Dragon Cement porcelain sign. This particular Portland Dragon Cement sign is red and blue with white and black text. 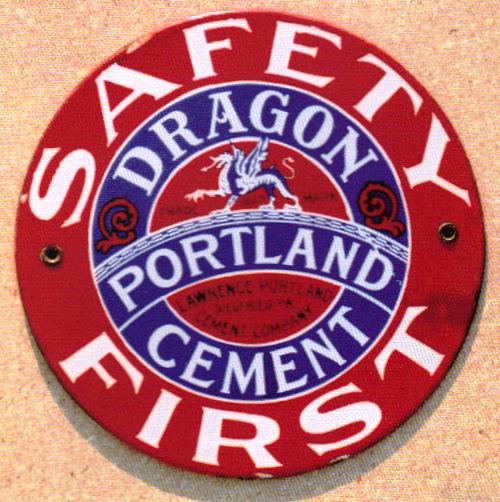 It reads, “Safety First, Portland Dragon Cement, Lawrence Portland Cement Company” and features a blue dragon in the center of the sign.